At HolsterGuy.com.com, we understand how important it is that your packages arrive promptly. Below you will find answers to Frequently Asked Questions about our shipping policies. » Can I ship parts of my order to different addresses ? » Can I ship multiple orders a single shipment ? » When will my order ship ? » Does HolsterGuy.com.com ship to international destinations ? » What if I live in Alaska, Hawaii, Puerto Rico or other U.S. Territories ? » What if I have an APO or FPO address ? » What if I want to ship to a P.O. Box ? » What if I need my order tomorrow? » How do I track my order ? » Can I choose the carrier for my shipment ? » How do I receive Discounted Shipping ? Unfortunately, we do not offer this option. You will need to place separate orders if you wish to ship items to more than one location. Can I place multiple orders and have them shipped in a single package? Unfortunately, we do not offer this option. Orders are shipped Monday through Friday, excluding legal holidays. HolsterGuy.com makes every effort to ship your order within twenty-four (24) hours of receiving it. We utilize different shipping carriers to provide you the best possible service. Does HolsterGuy.com ship to international destinations? Yes, HolsterGuy.com ships worldwide. You can submit your order online at holsterguy.com via PayPal and shipping will be calculated and added to your total before you check out. If for some reason the shipping charges do not appear for whatever reason, we will send you a money request for the shipping charges via PayPal. We offer multiple shipping methods for packages being delivered to Alaska, Hawaii and Puerto Rico. In addition, we ship to certain other United States Territories, including Marshall Islands, US Virgin Island. You can submit your order online at holsterguy.com via PayPal and shipping will be calculated and added to your total before you check out. We ship with USPS to APO and FPO addresses. You can submit your order online at holsterguy.com via PayPal and shipping will be calculated and added to your total before you check out. All orders over $300.00 require a physical street address for delivery. Overnight shipping is available upon request. 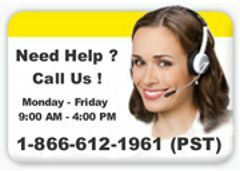 To place a Overnight order, please call us toll free at 1-866-612-1961 before ordering to ensure the item(s) are available to ship. For all customers ordering online, you'll receive email notifications via PayPal. Once the order has been shipped you will receive another email with tracking and the method used to ship your order. If you order over the phone or fax, we will email tracking and shipping method information once it becomes available. Yes, if your deliveries have limitations. (example: only a certain delivery company can reach your destination), But in most cases, No. The choice of carrier is determined by the level of service selected (Standard, Express, and Next Day), destination (shipping address) and the size of your order. We will select the best carrier to keep our shipping charges as low as possible while still maintaining the delivery expectations for the selected level of service. Once your order ships, the ship date, delivery method and other tracking details will be provided in your shipment confirmation email.